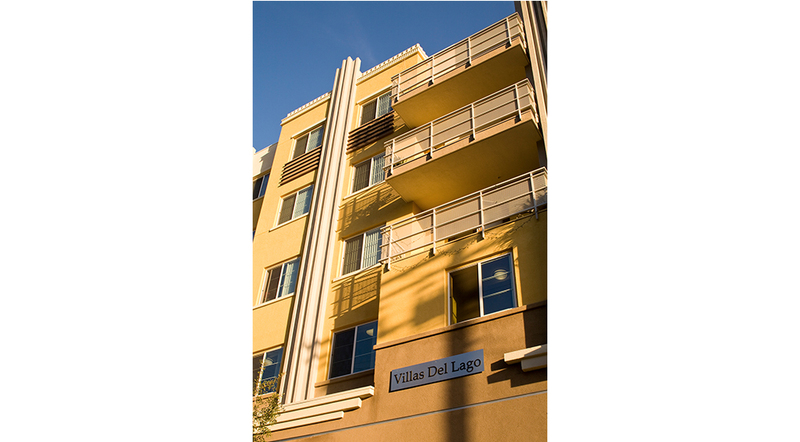 Villas del Lago is a 74-unit family afford- able apartment with 1-3 bedroom units designed for families. 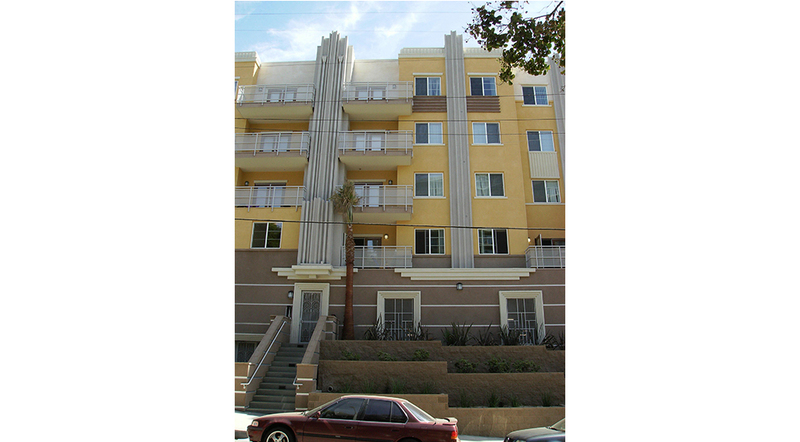 Construction is Type V with four levels of residential over a Type I podium with secure parking for resi- dents. Built on a 44,000 s.f. 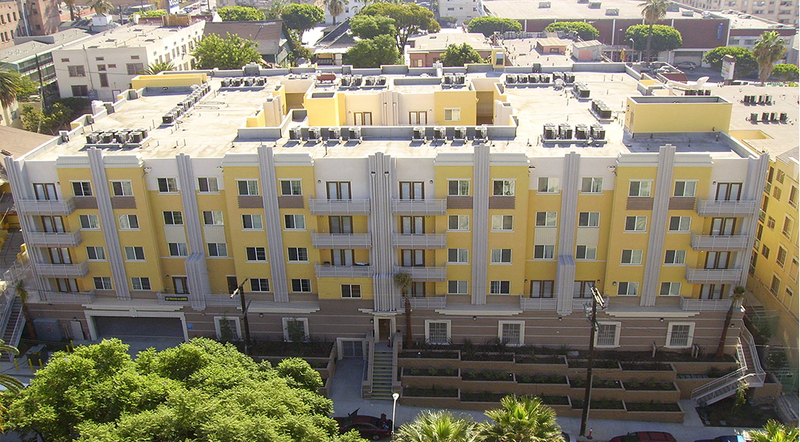 site in the Westlake/ MacArthur Park district, Villas del Lago replaces dilapidated housing. The site is near urban amenities and services, including the popular MacArthur Park, St. Vincent’s Hospital, and Alvarado commercial center, and it contributes to the continuing revitalization of a historic community of Los Angeles. 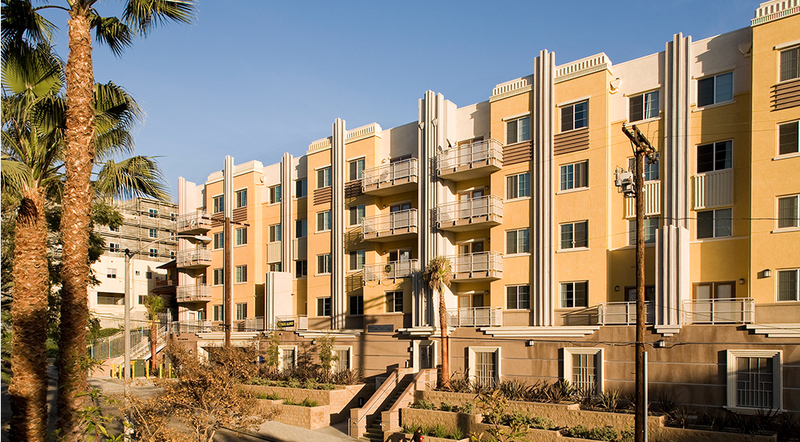 Villas del Lago was funded by a $15,267,000 allocation of Low-Income Housing Tax Credits in 2006 and the Los Angeles Housing Department. Amenities include a community recreation room, energy-efficient appliances and design, and a green interior courtyard with a children’s play area. Occupancy began in 2008. 100% affordable: 8 units – 30% AMI, 8 units – 40% AMI, 37 units – 50% AMI, 20 units – 60% AMI, 1 unit – Manager.